Serving more than 5,600 students, AAP bridges the gap in educational advantage through services that promote academic excellence while fostering shared learning in a community of scholars. 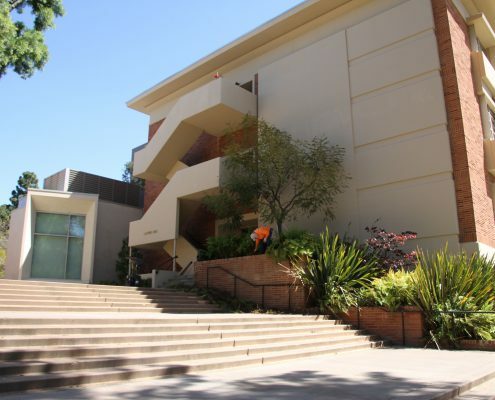 The rising demand for these services required the expansion of Campbell Hall, specifically the addition of the Academic Advancement Learning Pavilion. The addition added specialized learning laboratories, flexible work space, and modules equipped with state-of-the-art technology. The Pavilion has provided essential space for larger meetings and formal presentations. 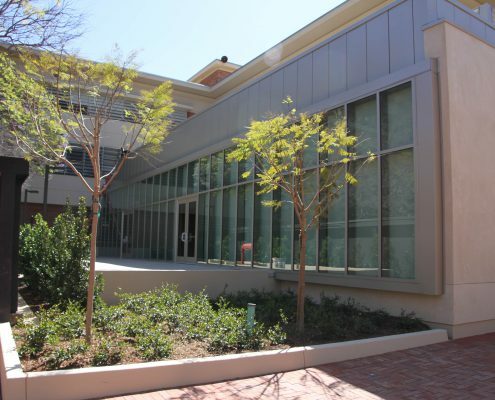 The Pavilion has transformed Campbell Hall into a spacious, innovative facility for the increasing numbers of AAP students who need peer-facilitated learning, graduate mentoring, and academic, personal and career counseling. The Pavilion is the hub of activity for AAP students and ensure that UCLA remains responsive to the needs of its diverse student body. Visionary philanthropy is essential to completing this important project. The following naming opportunities are available to one or more donors. Your gift to UCLA is an investment in the power of human potential and will have a lasting impact on generations yet to come. 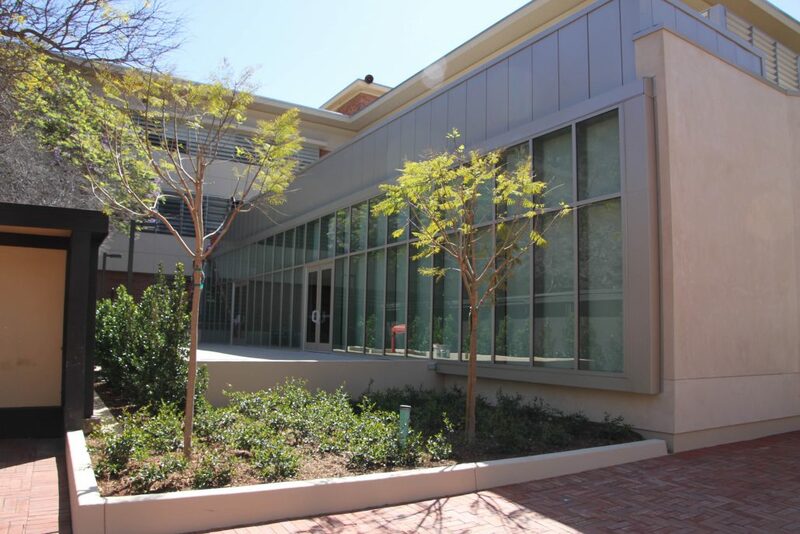 Be a part of UCLA’s mission of academic excellence in perpetuity by helping to build the Academic Advancement Learning Pavilion in Campbell Hall. • If the room is available, complete the Reservation Form and submit by e-mail to Chante Henderson. • AAP Units have priority in reserving 1112B Campbell Hall. 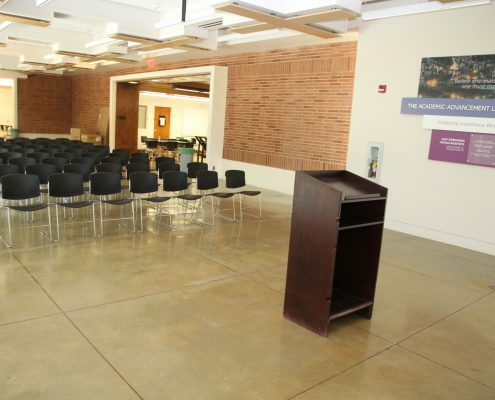 Other departments, program, and organizations at UCLA may use the room if it is available, but may reserve it no more than 3 months in advance. • The Learning Pavilion has high occupancy on Mondays through Thursdays (and sometimes Fridays) between 9:00am and 6:00pm (or later) throughout the academic year (Note: There is limited availability during Weeks 2 through 10 and Summer Session C). During these time, the Learning Pavilion may be limited or unavailable due to ongoing operations. • The rental rate for the room will be $300.00 (per day or any portion thereof). Additional fees will be included for any missing and/or damaged items (e.g. furniture, equipment, etc.). • Events On Line (EOL) Registration is required! All events taking place in 1112B Campbell Hall must be included in the EOL calendar. If you have not yet been designated a registrant in EOL, please call the System Administrator at x63274 or x58989. • You may request a walk through and a demonstration of the audio-visual equipment in the room. • Additional training is required to learn more about the Learning Pavilion offerings, room organization, technology use, etc. 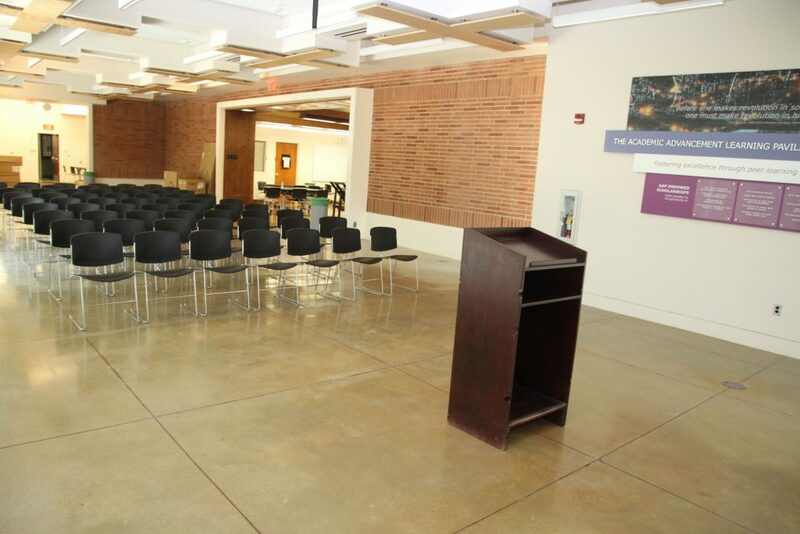 • 1112B Campbell (the Learning Pavilion) is a large conference room that can accommodate up to 300 people. The room is approximately 90′ x 30′. 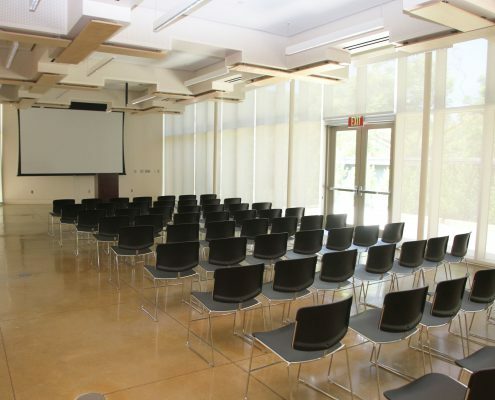 • The room has 300 stacking chairs and 36 rolling tables that may be rearranged within the room as required. 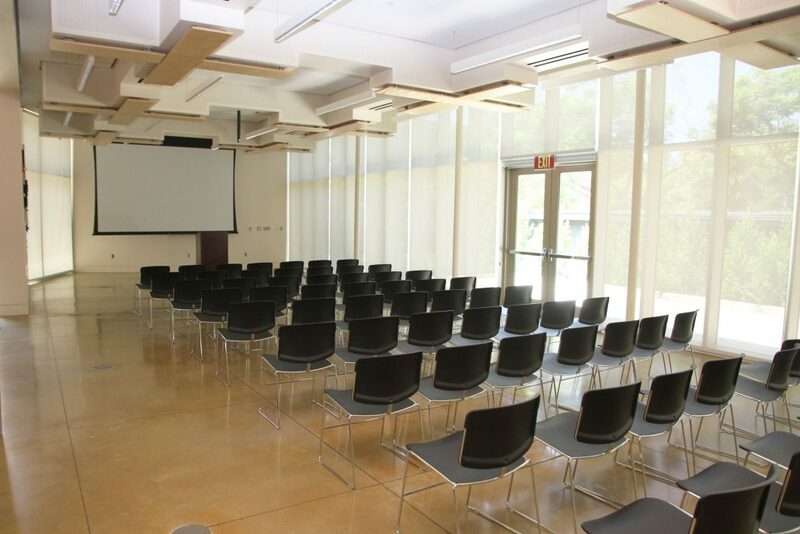 • Audio-visual equipment includes: an overhead projector and a ceiling mounted screen. • Keys: Set up a time prior to your event to pick up keys for 1112B Campbell Hall. Keys are obtained at 1232 Campbell Hall. • Advance appointment: Please make an appointment prior to your event for a walk thru of the room to determine what items you will need to order. Contact Chante for an appointment. • Staffing your event: Staffing an event is the sole responsibility of the reserving group. You are responsible for unlocking the room for audio visual services. catering, or any other vendor. You are responsible for supervising the set-up and take-down of the event and must be present during the entire set-up and take-down period. • Power down the computers, projector, microphones. All equipment must be turned off. • Lock the Room: IT IS THE RESPONSIBILITY OF THE RESERVING DEPARTMENT/ PROGRAM/ ORGANIZATION TO LOCK THE DOORS UPON CONCLUSION OF THE EVENT. You must stay with the room until all delivered items have been picked up by the vendor (e.g., catering, additional chairs, audio-visual equipment). The room key must be returned by 10:00 a.m. the next business day. • Building access: Campbell Hall closes nightly at 10:00 pm and weekend access is limited. The reserving department/ program/ organization is responsible for obtaining access to the building for weekend and after-hour events. For weekend events, on-line FSRs must be submitted to Facilities by Thursday at noon to ensure access to Campbell Hall. • Housekeeping: The reserving department/ program/ organization is responsible for leaving the room neat and clean. 1112B Campbell Hall is checked after each event. Any damages (e.g., marks on the floors) will be noted and the reserving department/program/ organization will be responsible for paying the additional fees. Trash should not be left in the hall. The room must be returned to the standard position (see the room layout diagram PDF) following your event. Events are often scheduled back-to-back, so it is vital you restore the room to the original standard arrangement and properly dispose of all trash. • Extra amenities such as extra chairs, tables, extension cords, microphones, and trash cans can be ordered from Facilities or AVS, or an outside vendor. • Deliveries: You must be present in the room to supervise any drop-offs or pick-ups of delivered items such as catering or audio-visual equipment. • Do not post signs: Signs are not to be posted on the walls or railings inside Campbell Hall. Please use easels to post your notices. • Problems: For problems with the building or systems (e.g., bathrooms, elevators, lights, air-conditioning, etc.) contact the Facilities Management Trouble Call Desk at 310-825-9236 or 310-825-1423. • Lost and Found: The reserving department is responsible for lost and found items. • Administrative Support: There is no public telephone in Campbell Hall. The nearest photocopier is located in Charles Young Research Library (YRL). • No Smoking: Smoking is absolutely prohibited anywhere in Campbell Hall. • No amplified musical performances: Live bands using amplifiers are not allowed. • Parking: If you anticipate that there will be fifty or more attendees at your event, contact Campus Parking at 310-825-1286 at least two weeks prior to your event. 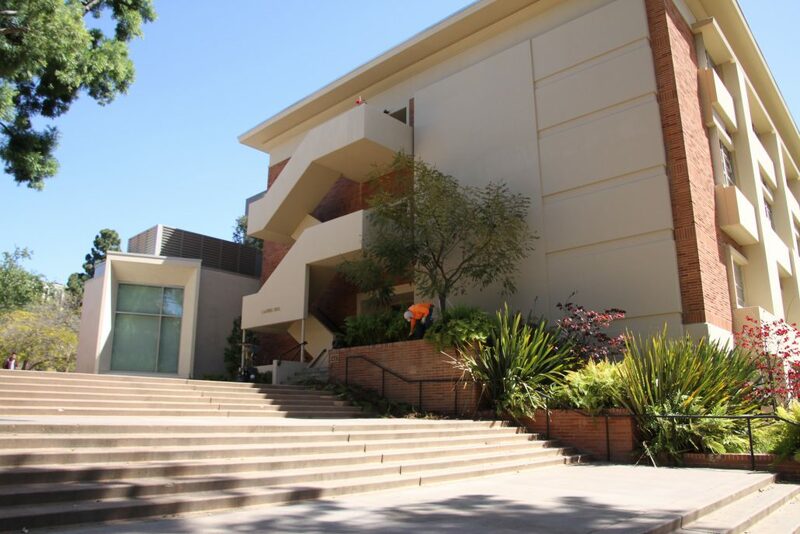 • Concurrent Events in Campbell Hall: It is recommended you contact the UCLA Events Office at ext. 58989 or search the Happenings Events Calendar prior to booking your reservation to ensure other events will not have an adverse effect on your event.